We reported last week on Dresden based Elbe Flugzeug Werk (EFW) with their Airbus A330-200 P2F kick-off order from Egypt Air. 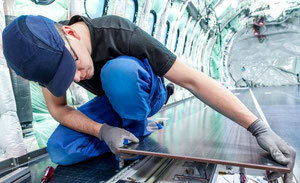 EFW has now announced that they are going ahead with the Airbus A321 passenger to freighter conversion programme. The P2F version of the A321 would offer customers a total of fourteen full sized main deck positions along with belly capacity for ten LD3 containers. The company claims that the converted A321s will offer future clients the equivalent of a total of seventeen positions, this, they state would be two more than what is presently offered on the Boeing 757-200 converted aircraft. There are quite a few used A321 passenger aircraft coming onto the market during the next couple of years and if this conversion programme is successful, then it can be expected that other companies will compete with EFW. The Beijing-based cargo arm of Air China, Air China Cargo which operates a fleet of eight B777Fs, three B747Fs and four B757Fs, has received the green light from China’s National Development and Reform Commission to look at possibilities of arranging mixed-ownership deals in the future. This would allow the China National Aviation Holding Company (CNAHC), of which Air China is a part of, the chance to look at outside investors for the airline. So far, CNAHC has not announced themselves any plans in this direction, but it is understood that Beijing would like to force the issue in order to dilute their own financial stakes in various Chinese aviation entities. The Asia Pacific Airlines Association was proud to announce towards the end of April that tonnages flown during the month of March by its member carriers rose by almost 13 percent (12.7%) compared to March 2016. 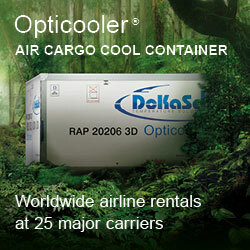 This brought the AAPA airline cargo carried for the first quarter of this year up by 9.6%. New business orders along with a steep rise in manufacturing within the region are the main causes for the steep increase. Russia’s national carrier, Aeroflot, has published air cargo figures for March 2017 which show an amazing 54.4% increase on Revenue Tonne Kilometers (RTKs) flown. A total of 94 million RTKs are recorded with much of this attributed to a steep rise in international traffic which alone accounted for 66 million RTKs. The first quarter 2017 figures show Aeroflot Group of carriers cargo traffic having jumped in total by almost 57% to 250 RTKs (please also read the report on Russian freight development in our issue published 3 May). United Parcel Service (UPS), despite the danger of upcoming strikes, has also posted strong Q1 figures. 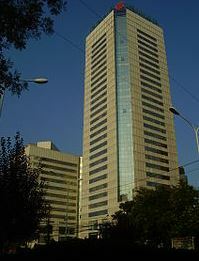 Revenues for the first three months reached US$15.32 billion - an increase of 6.2% over Q! 2016. Net revenue for January to March was placed at US$1.16 billion which was 2.45 up on last year. The negative aspect was that the operating profit fell by 2.1% down to US$1.78 billion, this mainly to adjustments on fuel surcharge and increased fuel prices. The Atlanta, Georgia-based small parcels giant continued with its growth pattern by reporting that the number of packages handled daily throughout the UPS system has risen also. 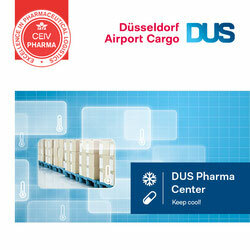 Both international and domestic package volumes increased. 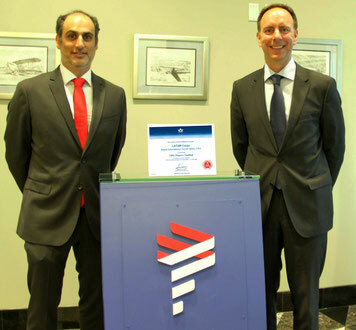 By obtaining the CEIV stamp, valid for three years, LATAM Cargo demonstrated its commitment to the pharmaceutical industry and its customers, by ensuring it meets the rigorous standards to transport these sensitive and valuable products. Worldwide Flight Services has signed handling contracts with Polar Air Cargo, Swiss daughter Edelweiss and LOT Polish Airlines in North America. In Europe, this is complemented by a three-year contract to provide cargo handling services to Air China in Barcelona, extending its agreements with the airline in Spain to a sixth airport. The by far largest portion of the new business can be attributed to Polar Air and its co-owner DHL. In a release, WFS speaks of 86,000 tons per annum which it will handle for both Polar and DHL at Cincinnati Airport. To facilitate this volume, WFS has recruited nearly 90 employees to serve the new contract. 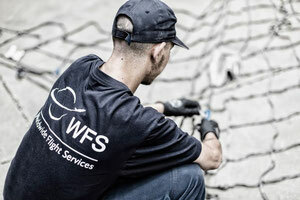 Members of the WFS teams in New York and Miami also relocated to Cincinnati to support the implementation process during the first weeks of the operation. In Newark, LOT Polish Airlines – which recently appointed WFS in Los Angeles – has signed another contract for WFS to provide passenger, ramp and cargo services. The two-year agreement covers the airline’s seven Boeing 787 flights a week to Warsaw. In support of its seasonal services connecting San Diego and Zurich, operated by its daughter company Edelweiss Air, SWISS has also signed a contract for WFS to provide cargo warehouse services for the next three years. China Postal Airlines has taken over an ex-China Southern P2F B757-200F after conversion by Precision Aircraft Solutions at their facility in Chengdu. The carrier will take a total of seven ex-China Southern 757s and the above aircraft is the fourth. The small packages carrier which has an extensive network within China now operates with eight B757Fs and a total of twenty-two B737F aircraft.